Hello, everyone. Hope you all had a great week. It’s Friday 14th April and you know what Friday means? It’s time for scooping up some news from the tech industry. This week’s news has some pretty hot pieces. The list includes Microsoft finally rolling out Windows 10 Creators Update to the masses, Tesla to announce it’s pickup truck in September, Instagram Stories surpasses Snapchat, Baidu acquiring xPerception, Microsoft finally pulling the plug for Windows Vista and Google’s latest mobile app. That’s a mouthful we’ve got to talk about so without any more delays let’s jump right into it. Microsoft has been doing some amazing work on Windows 10. Well, agreed that their recent decisions are pretty bold and they’re literally trying to piss users off with ads inside things like the Windows Explorer even though Windows 10 is largely a paid-for product, still, when it comes down to actually innovating in terms of features, Microsoft has really set itself apart. 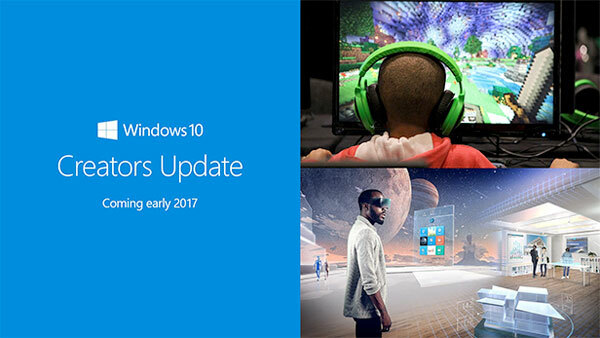 The Creators Update which was announced last year had been available for enthusiasts to try out as an Insider Update and comes packed with features. Among the many things that come with Creators Update, the some of the few that will catch your attention would be the following. Paint 3D, which is like a younger brother to the Paint application we’ve all known and grown up with ships with Windows 10 to allow creators to craft things in the 3D space and it makes the experience quite immersive, to be frank. Microsoft Edge has received some major updates both internally and externally to make it a good competitor to Chrome. Edge has a tab browser option which lets you navigate current tabs by expanding the page preview option. Microsoft also appears to be working on a session manager for Edge, allowing you to restore tabs from before you rebooted or closed Edge. This will include tabs that were open days or weeks ago. Ink support across the system has been another big feature of the Creator’s Update. The new update also brings with a dedicated Game Mode to delight gamers and dedicate full system resources towards improving the gaming experience. Apart from these big changes the update also ships with some small additions just to make lives a little easier for users. Things like a blue light filter, Action center updates, custom accent colors etc. have been integrated into Windows 10 to make the experience more user-centric. If you would like to know more about every single feature that ships with Windows 10, we’ll be covering it in a separate post so stay tuned with us. If you are a regular visitor of this blog and have been following our weekly news coverage, you may not be a stranger to Tesla. Just in case you don’t know about Tesla, here’s a quick intro. 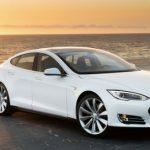 Tesla is an automobile company that is working on sustainable transportation to slowly transition the auto sector to solar or other clean alternatives. They’re basically trying to save the planet from doomsday (literally some Iron Man stuff). As of now the company only makes 4 cars, The oldest one, the Roadster, the Model S, the Model 3 and the Model X (see what I did there?). Though the company has a very tiny portfolio of products. It’s quickly grown to become the most valuable car manufacturer in the US by beating both Ford and General Motors. The CEO, Elon Musk took to Twitter this week to announce what Tesla has been up to this whole time. The company happens to be working on a pickup truck which they will show off sometime within the next 2 years. 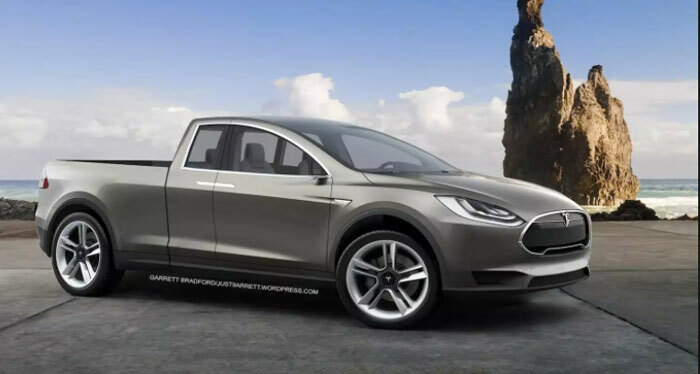 The truck was described as a new kind of pickup by Musk. The company also teased a forthcoming semi-truck, the announcement for which is set for September this year. Along with these heavy-duty vehicles, the company will also eventually roll out a convertible version of the Roadster, the first vehicle they ever created. As for the Model 3 is concerned, there’s good news for customers. The final reveal of the production version of the Model 3 will be in the month of July. If you are a socially active human being you’ve probably heard or used Snapchat in your day. It’s a camera all, oh who am I kidding, you already know what it is. Some time ago, Snapchat rolled out a new feature called Stories which allowed users to tell the story of their day via photos that they share to a public feed. Well, it was kind of a great idea. At the time this was happening, Facebook had been burnt deeply by Snapchat after the Los Angeles-based startup turned down an acquisition offer from the big blue. Anyways, Facebook boasts a user base of a billion users and it did see the potential in Stories so they did something which no one knew they were capable of doing. 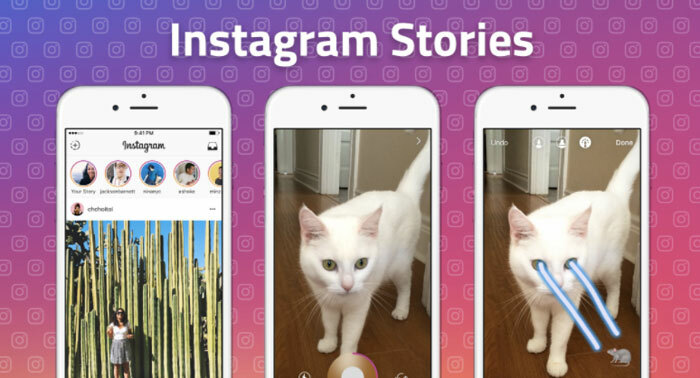 They blatantly ripped off Snapchat and built Stories within Instagram. So much so that their entire UI resembles that of Snapchat. Evil motives aside this story took an interesting turn this week when Instagram Stories beat Snapchat in terms of the number of users. While this may come out as a shock to a lot of people it’s not really that difficult to fathom. Facebook has more resources to put behind a feature than Snapchat and they have a huge base of loyal users. People would rather prefer connecting on an app where most of their friends are instead of joining another one. It would be interesting to see how much Facebook will mimic Snapchat to keep a strong foot on the ground. Machine learning enthusiasts might be familiar with who Andrew Ng is, he was the chief scientist at Baidu. Now for those who don’t know what Baidu is, it’s one of China’s largest internet companies which offers services like a search engine for websites, audio files, and images. Along with search, they have multiple other offerings like Baidu music and Baidu Baike. Anyways, the company recently acquired xPerception, a US bases startup specializing in computer vision. The startup had built its own module for image recognition. 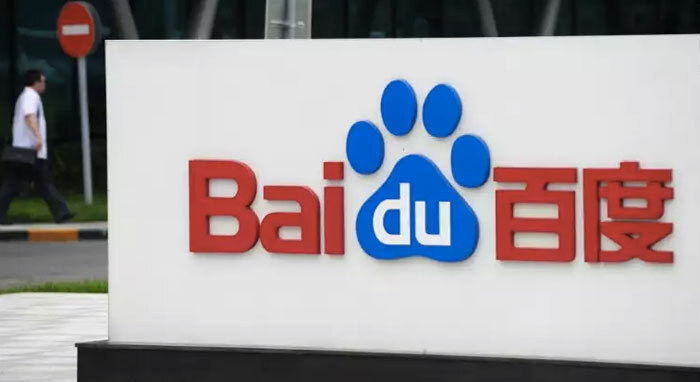 Baidu has been one of the active companies in machine learning and AI and this acquisition would help strengthen their offerings. xPerception was founded by Dr. Bao Yingze and Dr. Chen Mingyu, two early Magic Leap engineers. The team is expected to continue its work under the wings of Baidu. In March, Andrew Ng, Baidu’s chief scientist, left the company to the detriment of its internal machine intelligence efforts. Baidu faces additional barriers that its contemporaries like Google don’t have to face for research and development. It’s finally happening. After 10 years of existence, Microsoft is finally shutting down one of their least appreciated products, Windows Vista. 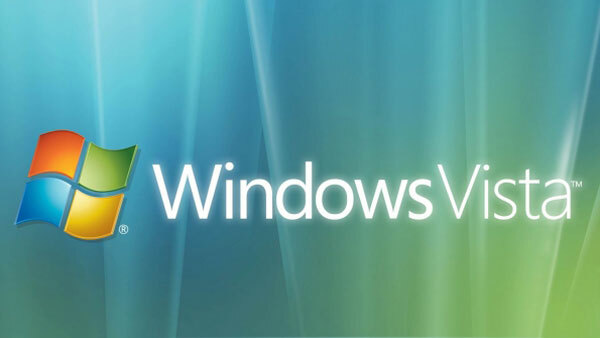 Windows Vista arrived in 2007 with its frosted glass splendor and quickly became known as the most bloated release of Windows ever. The development codename for Windows was Longhorn. Vista was a major release in terms of modernizing the look and feel of Windows with translucent elements replacing the plastic feel of Windows XP. Everything was flying around in 3D space. It failed, however, at launch it required a high-end system to run on and run well. The ambition of shiny new UI was hindered by the reality of installing a new OS on aging hardware. It was a release with too much of everything. True that updates and maintenance releases made it work as intended in the long run. But as a product, it failed miserably. It did set grounds for Windows 7 which till date happens to be the most successful OS by Microsoft. In 2009, Windows 7 arrived with all the glass but none of the weight. Windows was fresh and light and simple once again. Windows Vista may be remembered as a bloated operating system with the wrong priorities but was a fascinating push forward towards the sci-fi interfaces we’d been dreaming of. Google makes some of the most interesting and good looking Android apps. This week the search giant released a new app in India called Areo. The launch of the app was pretty quiet. Areo is an app that aggregates food delivery and home delivery services in India. This particular sector has been slowing down lately due to lack of proper funding. The app is currently functional in Bangalore and Mumbai. 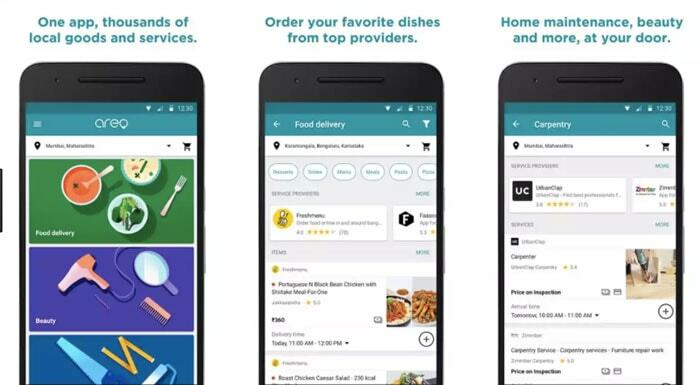 Google has partnered with Box8, Freshmenu and Faasos for food delivery and UrbanClap and Zimmber for home services. According to two people aware of the development, who spoke on the condition of anonymity, Google has been exploring such partnerships for the past 8-10 months. The company had rolled out a pilot for its employees about three months ago. Google will not deploy delivery executives or home services professionals of its own to service the orders. The partners will handle fulfilment of the services, while Google will charge them a commission. And that’s the end of the tech news round up for this week. We will be back next Friday with more happening news related to technology. Till then, keep reading.